This 32″ 1440p monitor from BenQ is a massive size for a monitor but, providing you have the space, is an excellent companion for graphics, day to day work and even some light gaming. For a monitor this big, the price is actually fairly small in comparison. 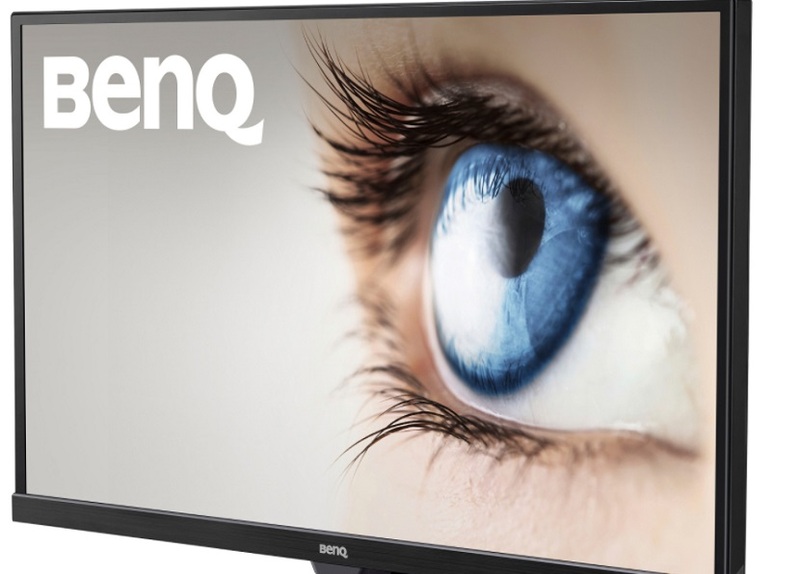 Around £430 will get you a great screen with BenQ’s patented Eye Care features that change the luminosity of the screen in different ambient lights and Low Blue Light Plus Technology which filters out the shorter, higher energy blue-violet radiation. The 1440p resolution may not be full 4K but it puts less strain on graphics card and processors because of this and PCs are ultimately able to scale in order to make the most of every resolution, so 4K isn’t really the be all and end all. besides, I believe the main market for this monitor and others in the Eye Care range is for the designer, worker and those who like multimedia and a bit of PC gaming in their spare time. Port-wise, this BenQ comes with the standard connections you’d expect to see on most monitors, with a pair of HDMI ports, D-Sub, DisplayPort and a Mini DisplayPort providing the video input options. A headphone Jack and Line In provide basic audio needs. There are speakers on the EW3270ZL, but they are located at the rear, so ensuring there is space between them and any possible wall or obstruction is the only way to get a fairly good sound quality. Most people using this for multimedia will no doubt want to use external speakers. Despite being a 2017 monitor, the model curiously has no DVI port, which is a shame. The stand is sturdy if nothing special. I suspect this is due to the size and the weight of the device. You can’t move the monitor up or down like some of the other BenQ models, but you can swivel it. Sadly, I don’t believe there is a Vesa Mount option, either. The contrast is an impressive 3000:1 and provided both vibrant colours and great blacks, ideal for design. Throwing Netflix, 1440p videos and Blurays at it, I loved the deep colours it provided and motion was smooth. This being a 2560 x 1440 monitor, it can happily cope with scaled down 4K or native 1440p but the monitor also boasts better upscaling. This did actually seem to work on 1080p content, though trying to throw lower resolutions at it still showed up their shortcomings. 60Hz is the maximum expected refresh rate for panels like this and could cope with gaming at a push, though the response time, 4ms but felt like more, is a no-go really. It’s certainly fine for the intended target audience in the art and design world, though. I did try out a couple of games and they worked fine, but if you’re coming from another monitor with either a higher refresh rate or lower response time, you’ll really feel the difference. For the casual gamer, though, this works fine and would also be fine for a console (bar the new PS4 Pro and Xbox One X if you want 4K output). The EW3270ZL is a great monitor which provides a clear, bright picture with lovely colours and a great set of eye care features. It may not be suitable for the pro gamer, but for those looking for a big monitor for design and multimedia, it’s a great choice for the price.